Book Review~ Who Moved My Cheese? Each month at Sugar Fix Dental Loft, Dr. Emery has her team read a different book. The last book that we read was, “Who Moved My Cheese?” by Spencer Johnson. The book was a quick read at just 94 pages in length. As a team, we loved the book because it was so relatable to our own lives with parallels to both our personal and professional lives. 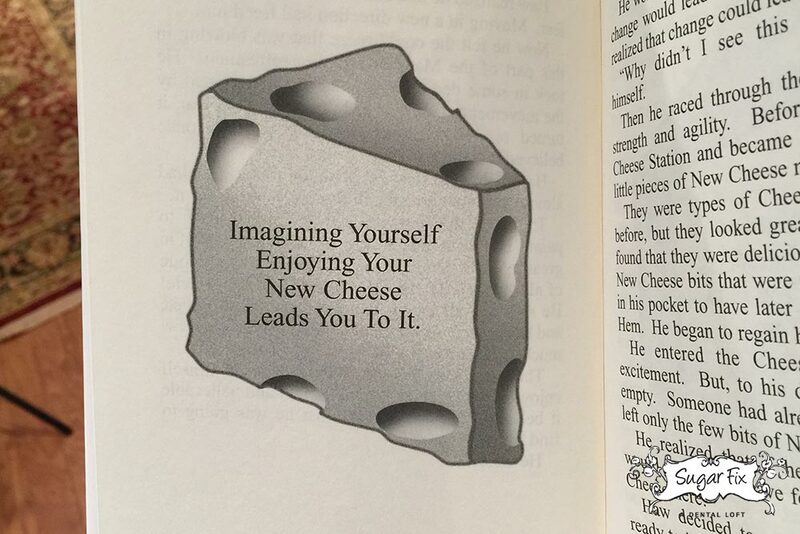 The “cheese” in the book represents a person’s driving force in life. (Like family, career, etc.) Finding the “cheese” and keeping it often requires change. 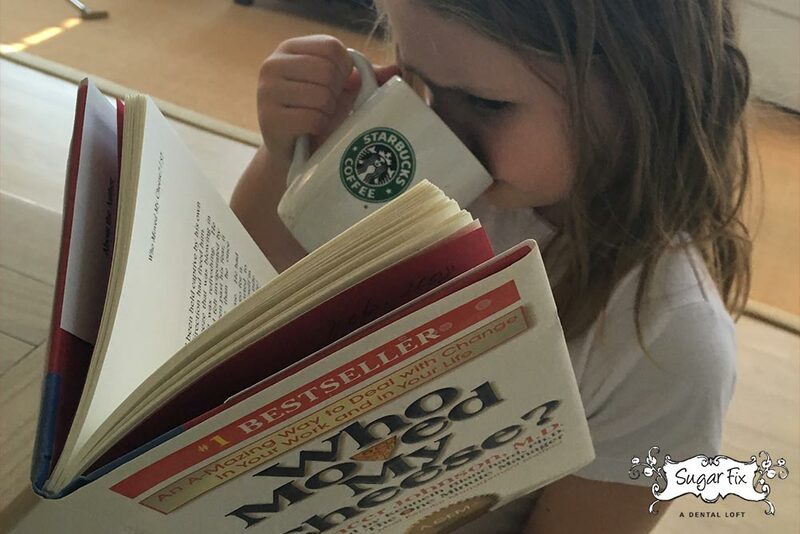 In both aspects of our lives (personally and professionally), we discussed how easy it is to get into a mundane routine. Change is a natural occurring event in all of our lives and often it’s not always easy to deal with. One of the characters Haw, was nervous in realizing that change was coming (the cheese that used to be abundant was dwindling) so he had to force himself out of his comfort zone to find more cheese. Another character in the book was named Hem; Hem refused to move from where the cheese was always plentiful and good, despite the diminishing supply. When Haw reluctantly ventured further into the maze to find cheese (and found it) he came back to Hem to encourage him to come with him to find even more new cheese. Hem refused and was steadfast in staying just where he was. This is a part of the book that many of us could relate to at some point throughout our lives. We have all experienced change in our lives (some intentional, some not) but in order for any of us to grow, we had to move forward and venture out in search of more or different “cheese.” Sometimes it feels easier to just dig your heals in and not be willing to change and grow. Again, we see parallels to this statement. As a team, Dr. Emery expects us all to be pushing ourselves to be the best we can be. She invests in each and every one of us through paying for continuing education courses, purchasing books for us to read, and also in talking with and supporting us in our own personal goals. Dr. Emery is incredibly supportive of our wants and needs; knowing that if we are working towards and meeting our goals personally, we’ll be happier professionally, thus having a huge impact on our patients as well! It’s a unique quality that sets Dr. Emery apart from other dentists and bosses and is a true to testament to the diamond of a practice that Dr. Emery has created!